America Is In The Heart is an autobiography of Carlos Bulosan(1913-1956) a native of Binalonan, Pangasinan who went to California for greener pastures during the great depression in the US. The book was first published in 1946 in the US and was only given attention in the country during the First Quarter Storm (1972), its great relevance during those times gave this biography the attention it needed. In the book he gave his 3 brothers fictive names, and the book was divided into 4 parts. 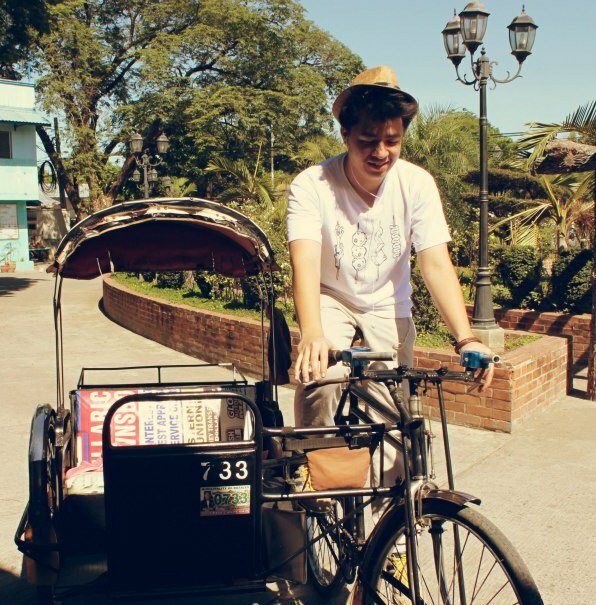 The first part was about his childhood memory, his family in Pangasinan and the flight of his brothers. The first part was my favorite, its rural setting and his poignant writing gripped me. This was the most emotional part for me, sharing your family stories and tragedies while growing up, unable to fully understand things that are happening around you, accepting blows hoping to understand it someday, in time. The second part was about his flight, his adventures in foreign land and realizing his American Dream, and the illusions of it. He went to America when he was just 17 years old, sold as slave, and worked from one plantation to another. He later found his brother, or rather his brother found him. 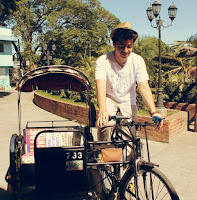 This 2nd part was about his hardships and realizations. The hardship of being a Filipino worker in America in those dark depressed times, when there was no available jobs and being a Filipino is like being a dog; discrimination of other races filled the American air. The last two parts was about his involvement in the labor unions and the movement. He organized labor movements for better working conditions. And it is also the part where he wrote his poems and short stories and got published. He was bedridden for 2 years and these was his productive years. The book ends during the first year of WWII when one of his brothers volunteered to fight for his motherland. Allos (Carlos), also intended to come back to the Philippine but it never happened, he died in 1956. On halfway reading this book, I can't help but think if this is really a biography or a work of fiction, asking myself was it really possible, is he being truthful to me? Did he manage to take all the blows? Hardships and discrimination? I think not. He may not experience it all but I believed he wrote for those Filipinos who does. But nonetheless, this book was a great read. As F. Sionil Jose said once's in a newspaper article this book was Bulosan’s magnum opus. I first read him way back in high school, his short story The Tree Of My Father was included in our Philippine Literature class again in college with his story My Father Goes To Court. 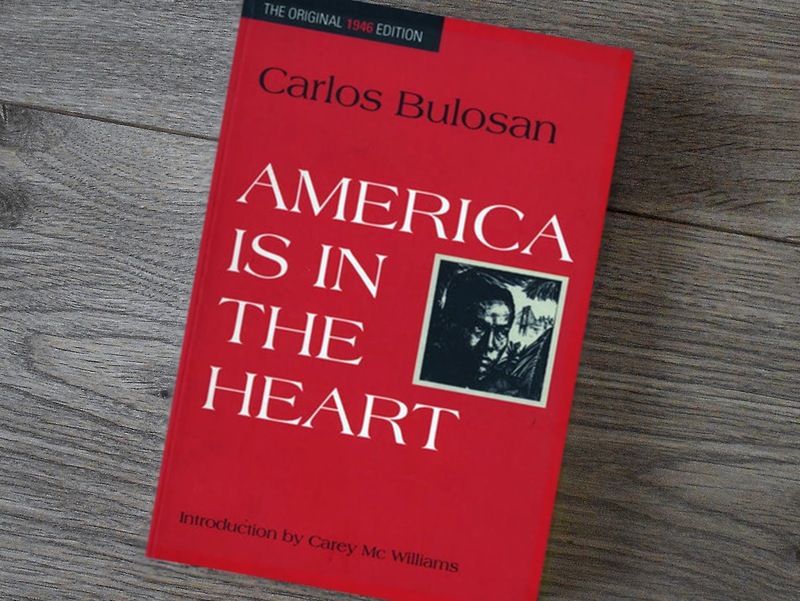 Carlos Bulosan was one of our great writers whom I believe to be underrated, this book still has its relevance today; this book showed me tragedies and hardships of the past that we need not to ignore. I recommend this book to every Filipino, especially to those who have left their own country in search of a greener pasture, working to support their family -let us not forget their hardships. I’m planning to read his novel All the Conspirators after. Needless to say, I am very excited with this blog feature. A for April, and A is also for Ayban! Ayban: Philippine Literature. Way back in college I found a copy of Sa mga Kuko ng Liwanag by Edgardo M. Reyes in our school library. I have seen the movie adaption but I haven't read it. I'm just curious. And without realizing it, it is now a great affair with the written words. Philippine literature could also be romantic without being baduy and so much more than they used to say that they are sad and depressing because of the sad social themes. At first I was only curious, but now it’s an affair with the written words printed in papers bounded by glue. Ayban: I think a bit picky and moody reader. Sometimes I would start a book, and when it bores me I put it back on the shelf, then start a new one. Haha! Now I have a lot of TBR's books that needs reading. Now I buy books more than I could read them. Oh, I know him! I met him during last year's ReaderCon. I visited the booth of PRPB and he was there. Very passionate about Philippine publications, he is.